Get INFORMed! To Be TRANSFORMed! To OUTPERFORM! Professional development designed just for millennials. Courses and programs to develop the next generation of managers, leaders, and executives. We offer business development opportunities for millennial startups and those in the early stages of business ownership. Some of our programs are delivered in partnership with national organizations and major corporations. This award winning program has proven to increase the effectiveness of individuals by developing high potential talent. This award winning program has proven to increase the effectiveness of those preparing for management or have managed people for less than three years. This award winning program has proven to increase the effectiveness of executives or those in middle management. An exclusive invitation only retreat for women of color business owners. Learn more here. Leadership and Executive development programs tailored for women. The PowHerhouse Circle™ is a mastermind group designed for women business owners. The Next Level Exchange™ provides organizations and talent an opportunity to connect in a unique and exclusive talent matchmaker experience. This exchange event for business owners is a unique opportunity to introduce corporations to potential suppliers. The Next Level Summit™ is an innovative “think tank” of organizations, HR/Executives, educators, and high potential individuals in one place to share best practices and develop innovative ways to manage talent. The nation’s most influential in areas such as STEM unite to Learn, Enhance, and Network. The Summit helps improve and establish best practices in talent management. See the gallery showing the success of our past events here. 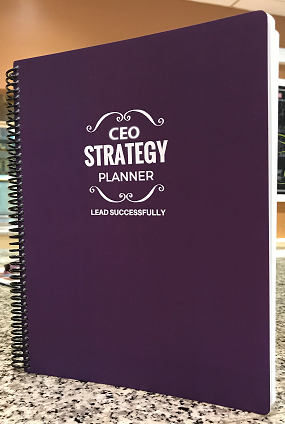 The CEO Strategy Planner™, created by award-winning business leader LaSonya Berry, was designed specifically for business owners, CEOs, and executives who run organizations they are ready to take to the next level. It provides serious leaders with a high-level view to grow their businesses, away from focusing on the day-to-day working “in” the business. Includes impactful videos where you are personally coached on how to use each component of the weekly strategy planner for maximum success. You’ll get access to those when your planner ships, if not before. The planner is crafted in a way that you can really use it. This business tool is spiral bond, physically durable to be handled and not just look good. This comprehensive tool is a proven approach to working on your business weekly to achieve next level success. Allows you to create a customize blueprint to transform your business idea into action. A unique aspect of this planner is that it provides a Christian perspective. Included are affirmations and scriptures to help you bring your vision to pass.